April 9, 2018 - Like us now! 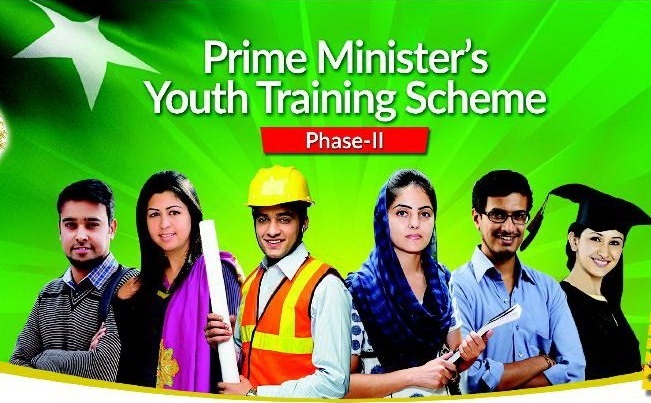 The Government of Pakistan has announced the second phase of Prime Minister Youth Internship Program. Eligible candidates can apply to be placed in government, semi-government departments, and also private institutions.Candidates are being accepted from the following regions of Pakistan: Sindh, Punjab, Khyber Pakhtunkhwa, FATA, Balochistan, Gilgit Baltistan and AJK. Approximately 15000 internees will be selected who match the eligibility criteria of the internship program that will span over a year. The internees will be paid a monthly stipend of PKR 12,000. The candidate must have 16 years of educational qualification in engineering subjects. The age limit for the program is 25 years for all provinces except AJK, Gilgit Baltistan, Southern Punjab and Balochistan for which the age limit is 30 years. 2.5 CGPAor 50 percent score in the final degree is the minimum threshold for selection. The candidate must be a Pakistani national. The candidate must not have availed any government youth training scheme in the past. Government and semi-government servants are ineligible to apply. Full-time students in any private or public institutes are ineligible to apply. The internship is inclusive to all eligible citizens of Pakistan. Female candidates are encouraged to apply. Moreover, 2% quota has also been set aside for differently abled candidates and 5 percent for minorities. All leading private sector organizations and development sector organizations at federal, provincial and local government level including educational institutions will be offered services of the selected internees. Interested candidates can apply here by April 23rd, 2018. Higher Education Commission is also offering programs for the benefit of youth. Students hailing from under-developed regions of Pakistan can also apply for HEC’s fee reimbursement program that covers universities of 144 regions of Pakistan. Moreover, unemployed youth can also become a part of HEC’s skill-based training program. 21st Century Global Skills Initiative of PKR 2.7 billion has also been approved by the Government that will kickstart in August this year.